Lucite, Perspex – A Rose by Any Other Name is Still Amazing Acrylic! 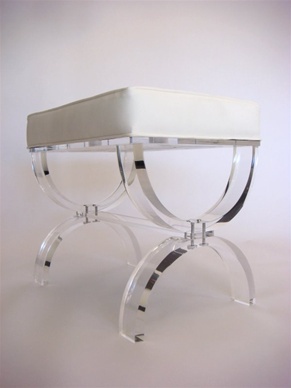 I adore acrylic furniture. Call it Lucite, or Perspex — that transparent material in a coffee table table can transform a traditional room into something with Wow factor. 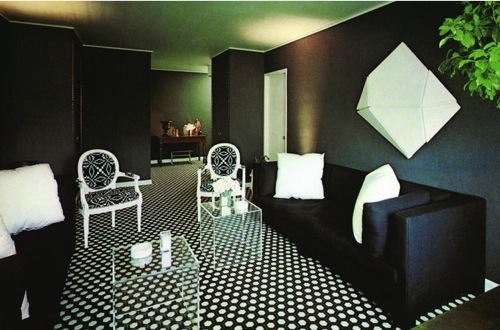 Trend-setting Sixties designer David Hicks pioneered this look, and it’s one I’ve cheerfully stolen for my interiors. An acrylic coffee table opens up space in a room — it’s see-through isn’t it? And what better way to set off a beautiful rug or carpet? Acrylic furniture doesn’t stop at coffee tables. On no, the only limits are your the boundaries of your imagination. I’ve designed console tables, side tables, display cases for watches….. and I love the great space expanding trick of placing an acrylic console table with a lamp on it against a mirrored wall — just watch the room double it’s visual space! Like magic. 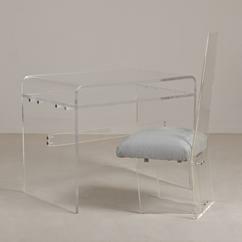 And speaking of vintage acrylic furniture — don’t forget to have a trawl through 20th century vintage furniture shops for some fabulous finds. 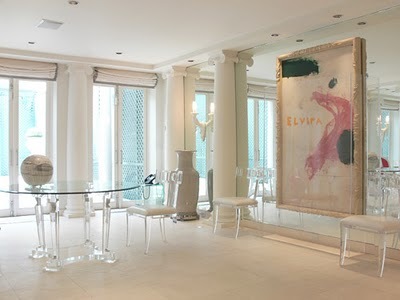 Here are some great pieces from Talisman Antiques in London (www.talismanlondon.com). I love this “invisible” 1970s desk and chair. 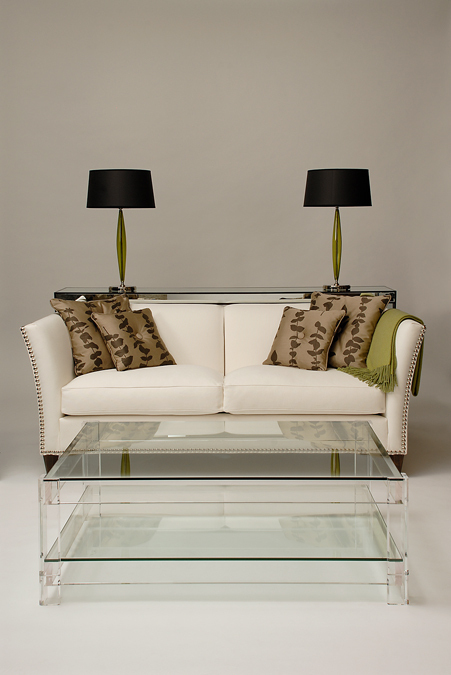 I can’t wait to use this skyscaper side table with a mirrored base (didn’t I say I loved mirrors?) in one of my design jobs. 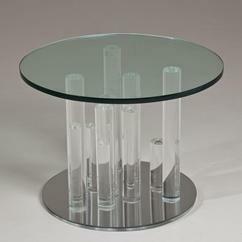 A 1960s tubular acrylic coffee table. I want! Brass and acrylic – a marriage made in heaven. And I love this take on an antique Chinese chair by San Francisco designer Samuel F. Lewis of InStudio (www.instudio-sf.com). 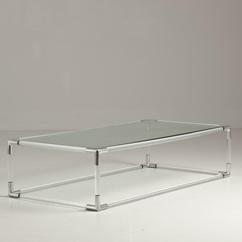 My favourite coffee table, courtesy of Carew Jones London (www.carewjones.co.uk). 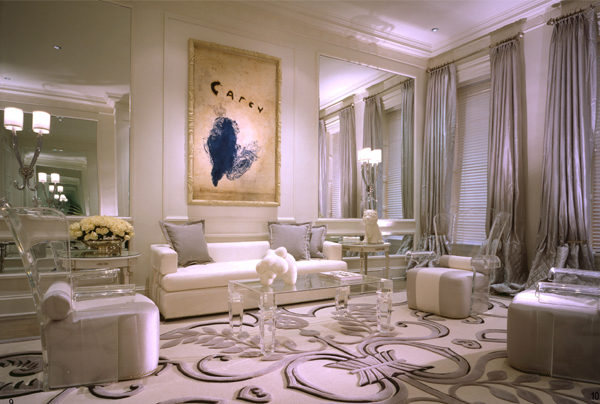 This looks great in both contemporary and traditional interiors. So, how about thinking clearly (pun definitely intended) when you’re next considering a furniture purchase? 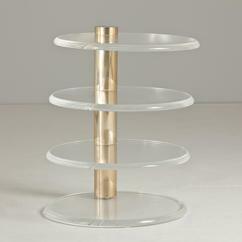 Add an unexpected twist with some acrylic furniture. 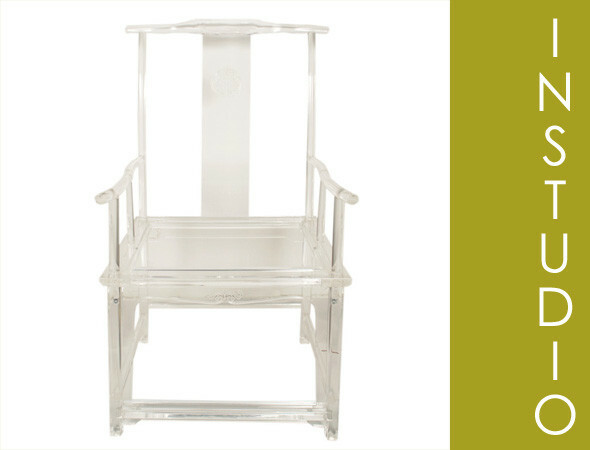 Call it Lucite or Perspex — it’s a designer’s secret weapon for Wow interiors. 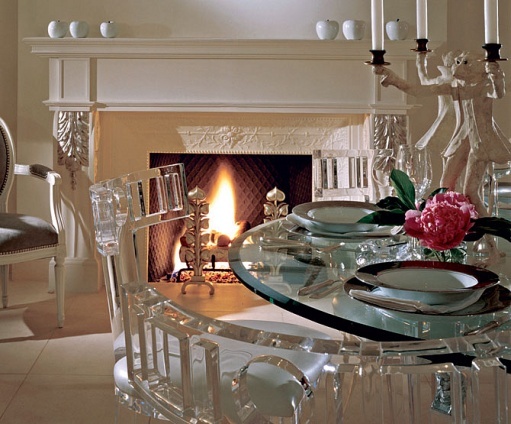 This entry was posted in Contemporary Design, Interior Design, Interiors and tagged acrylic furniture, CoffeeTable, David Hicks, Furniture, Jonathan Adler, Living room, Lucite, Perspex. Bookmark the permalink. 1 Response to Lucite, Perspex – A Rose by Any Other Name is Still Amazing Acrylic! Oh, new trend you think? I’ve a (recent) admiration for glass cabinets, but only for the kitchen. Otherwise, I’d rather go with wood.